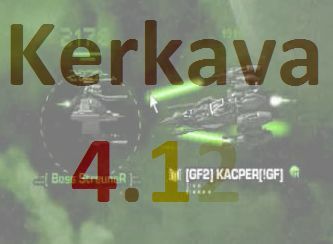 Now is available for download kerkava 4.12 - a bot for Darkorbit. I do not think that it necessarily requires a detailed presentation, most of you had known what Kerkava can make: a bot that calculates and manages very well combined firing ammunition, usually RSB with anti-shield ammunition . Kerkava 4.12 - risks vs. damages! You know that Kerkava, even keep up with the latest changes in Darkorbit, it will expose you to risks that only you can assume. Even though the latest version of kerkava spectacular will bring you a major advantage over the enemy in fight.